Includes a book and an Elf. 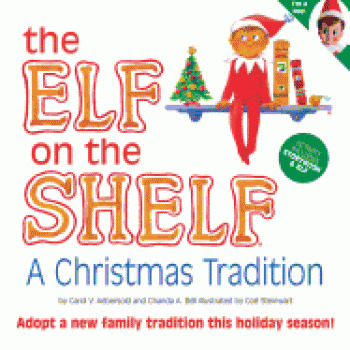 Since its launch in 2005, The Elf on the Shelf has captured the hearts of children everywhere who have embraced the magic of adoptiong their very own scout elf, sent by Santa Claus. At the start of each Christmas season, the elf appears to serve as Santa's eyes and ears, and every night it travels back to the North Pole to report in. Touted as "the best thing since The Night before Christmas," this gift set includes a North Pole pixie elf, a hardbound children's book and a keepsake box. Children can register their elf online to receive an official adoption certificate and a special letter from Santa.